Stock Low : 111 items left. A head turning style that can be worn from the office to special occasions, this dress joins the ranks of our most coveted pieces yet. Often a tricky colour to work with, this dress can be paired with several co-ordinates to give you different styling options for different occasions. 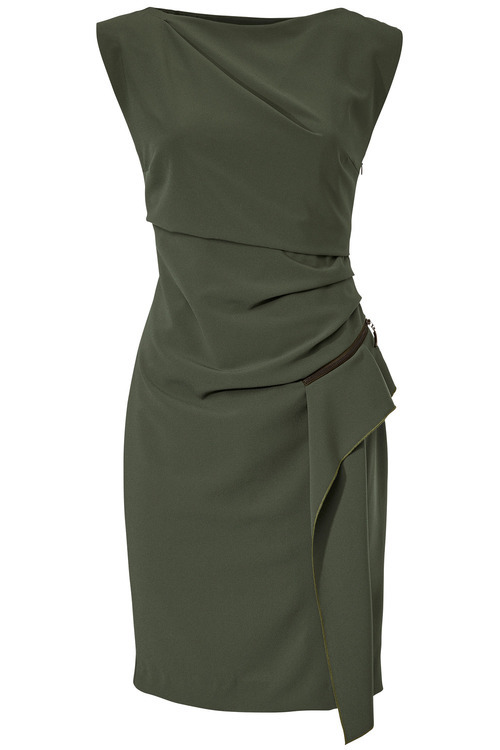 We’ll be teaming this dress with a simple black court heel and matching blazer for the office and then pairing it with a silver heel to emphasise the zip detailing and offset the deep olive tone.